Receipt Bank extracts the key information such as supplier, total, GST, date and due date from your bills, receipts and invoices reducing the need for manual processing. Transactions are then exported from Receipt Bank to Xero including a copy of the document. 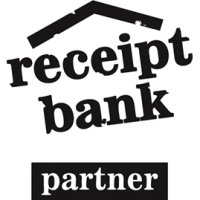 Receipt Bank, in tandem with Xero, is the perfect solution to long wasted hours of manual data-entry. By using Receipt Bank’s automated cloud-based data-entry software, extracting information from receipts is as easy as taking a photo and uploading it via their secure web app, where Receipt Bank will extract all the relevant information such as date, time, invoice number, taxable income, and more, all while boasting the highest accuracy of any cloud tool. Receipt Bank integrates seamlessly with Xero, allowing you to collect, process, and publish receipts and invoices quickly and efficiently, leaving you with the brainpower to focus on the more important things. With Xero matching and Automatic Publishing, Receipt Bank automatically matches uploaded receipts and invoices with corresponding transactions in your bank feed, making bank reconciliation easier than ever and letting your track your cashflow, workload, and grow your business your way and run your business on the go by accessing Xero wherever you are. How does Receipt Bank work with Xero? Submit your receipt, invoice or bill using the Receipt Bank app or via email. Receipt Bank automatically extracts data & imports into your Xero account. Reconcile in Xero with one click! No more manual entry of receipts, invoices & bills. You can send receipts and invoices via e-mail, app, Dropbox, and even via the postal service, and Receipt Bank will process the data extraction for you. No more lost receipts. All data extracted from your receipts and invoices are saved to a secure cloud location accessible only by you and Receipt Bank. Copy of all receipts, invoices & bills attached to transactions in Xero. You can even set up Automatic Publishing to have your extracted data automatically linked to the appropriate Xero transaction, so you can view expense reports, trends, and allow you to reconcile with your bank accounts at the click of a button. Need help implementing & managing Receipt Bank? Contact ProAMS today. Enter your details and we will show you how Receipt Bank will transform your business.